Use these 10 tips to cover your international travel basics and ensure a great trip. 1. Check your passport expiration date and look for blank pages. Most countries require that your passport is valid at least six months beyond the end of your stay. Many countries also require one or two blank pages for their visas and stamps. It’s also a good idea to take a picture of your passport to keep on your phone for quick access to the information and as a backup copy in case your passport is lost or stolen. Check to see if your credit card charges foreign transaction fees. If it does, get a new card! It is also important to book your flight on a reputable travel credit card so that you have insurance coverage in case of flight delays and cancellations or baggage delays. For my thoughts on the best in Travel Rewards Credit Cards: My favorite cards are the Chase Sapphire Reserve, American Express Platinum, and Citi Prestige. Call your card company to tell them you’ll be leaving the country and set a travel notice so they do not flag your account for fraud and cut off your access to money! Set up apple pay (or your phone’s equivalent) and use it all over the world. This is the fastest and easiest way to pay in many foreign countries, especially Europe and Australia. Stop at an ATM at the airport in your destination city and withdraw cash when you arrive. Getting foreign currency in advance or via other methods generally incurs fees and commissions. Duo Lingo – If you want to practice your foreign language skills prior to your trip, duo lingo is an easy and free app to help you learn the basics. Google Maps Offline Areas – Click the three bars in the top left of the google maps app, and select offline maps. Select Custom Map and position the box over your destination to download the maps for use when you don’t have cell service. Maps automatically delete after 30 days, so be sure to do this close to your trip. Uber – Uber is almost always cheaper than taxis, and can be an easy way to get where you’re going without struggling with a language barrier. Since you’re putting in your destination, there is no confusion on where you are trying to go. Before your trip, check to see if Uber is available by pulling up the app and entering the airport to your hotel. Trip Advisor – Download offline maps, reviews, and photos before you go so you can navigate the city without cell service. Whatsapp – Use Whatsapp to text with friends, groups, tour guides, etc. from home or while abroad. Especially in Europe and South America, Whatsapp is used very widely. Travelling with food – Many countries have strict customs regulations preventing you from entering with fresh fruits, vegetables, meats, and nuts. Think carefully when packing snacks in your luggage. I always have granola bars on hand, and they don’t usually qualify, but things like trail-mix and beef jerky can definitely get you into trouble. Medications and prescriptions – It’s always a good idea to keep your medicine in its original container and if prescription, keep the Rx label on the box/bottle. Some medicine is not legal in other countries, and having your prescription will help keep you out of trouble. Also, only travel with the amount you’ll need for your trip and keep it in your carry-on bag. There is nothing worse than having a necessity in your checked luggage when your bags get lost or delayed. Travel outlet adapters – Check the outlet type for your destination. Bring a multi-country adapter or order a handful of country-specific adapters from Amazon before your trip. Try Google Maps or check your hotel website to review transportation options. In cities, like Sydney, with a lot of traffic, the Metro can be the quickest. In some cities, like Seoul or Tokyo, airport buses are easy and convenient. When you’re traveling with luggage, often times Uber is the best option. Most airports have free wifi so you can connect upon arrival and order your car. 8. Brush up on tipping etiquette. Do they tip here? Every country treats tipping differently so it is important to know whether you should tip, the tip is already included, or tips are offensive. Do a quick google search to find out! Before booking your trip check to make sure that the weather will suit you. You don’t want to book a trip to Thailand during monsoon season or the Caribbean during hurricane season. Knowing what to expect will also help you pack more appropriately! Keep the essentials in your carry-on bag. Things like a phone charger, credit cards, passport, medication, toothbrush, toothpaste, deodorant, and a clean pair of underwear are always key. If your luggage is delayed or lost you are entitled to certain compensation. Check with both the airline (the last airline in your itinerary if you have flights with multiple operators on one trip) and with the credit card you used for booking the flight. Many times you’ll be reimbursed for the basics after a six or eight-hour baggage delay and then daily for more expenses as time passes. I hope you are able to use these 10 tips to cover your international travel basics and embark on a wonderful adventure abroad. Please feel free to share your tips in the comments and ask any questions you may have. I’m always happy to help. Great article. That amazon charger looks great w the USB port. What about Driving? If you plan on driving find out if you need an international liscense. Are you covered with auto insurance or you need to purchase? And, what side of the road do you drive on, make sure you have a comfort level! Great point, Mike. Thank you for sharing! The State Department website (#2 above) provides requirements under the Travel and Transportation section for each country. The easiest way to get an international drivers permit is via AAA. Do you really need an IDP? I found this article very helpful. 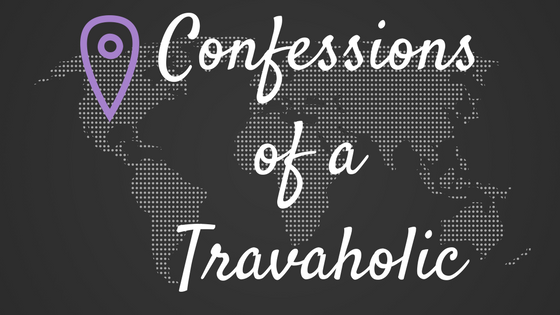 Hello, I’m Lisa Adams, travel blogger and travaholic. I’ve been hooked on travel since I can remember, traveling to 61 countries and counting. I’m always up for heading somewhere new to experience the food, wildlife, and local culture. Please feel free to contact me if you have any questions about my reviews, need help planning your next trip, or have any other feedback to share. I’m also always open for suggestions on where to travel next! Want to follow my travels? Copyright 2017 - Confessions of a Travaholic. All Rights Reserved.